See-through solar materials capable of being applied to windows represent an immense source of untapped energy and could harvest as much power as bulkier, bigger rooftop solar units. This was reported by Scientists in Nature Energy. The Authors, headed by Engineering Researchers at Michigan State University, argue that extensive use of such solar applications that are highly transparent, together with the rooftop units, could approximately meet U.S. electricity demand and considerably decrease the use of fossil fuels. Highly transparent solar cells represent the wave of the future for new solar applications. We analyzed their potential and show that by harvesting only invisible light, these devices can provide a similar electricity-generation potential as rooftop solar while providing additional functionality to enhance the efficiency of buildings, automobiles and mobile electronics. Lunt and colleagues at MSU initiated the development of a transparent luminescent solar concentrator that when placed on a window produces solar energy without distracting the view. The thin, plastic-like material can be employed on buildings, cell phones, car windows or other devices with a clear surface. The solar-harvesting system makes use of organic molecules developed by Lunt and his team in order to absorb wavelengths of sunlight that are invisible. It is possible for the Researchers to “tune” these materials to pick up only the ultraviolet and the near-infrared wavelengths that then transform this energy into electricity. Cost-effective and innovative renewable energy technologies are needed for moving global energy consumption away from fossil fuels. Only about 1.5% of electricity demand in the United States and all over the world is produced by solar power. However, in terms of complete electricity potential, the Authors highlight that there is an estimated 5 billion to 7 billion square meters of glass surface present in the United States. With that huge amount of glass to cover, transparent solar technologies indeed are capable of supplying some 40% of energy demand in the U.S. – almost the same potential as rooftop solar units. The complimentary deployment of both technologies, could get us close to 100 percent of our demand if we also improve energy storage. Lunt stated that highly transparent solar applications are recording efficiencies more than 5%, while standard solar panels usually are about 15 to 18% efficient. Despite the fact that transparent solar technologies will never be more efficient at transforming solar energy to electricity than their opaque counterparts, they are capable of getting close and offering the potential to be applied to a lot more extra surface area, he stated. Lunt further added that transparent solar technologies are presently only at about a third of their realistic overall potential. That is what we are working towards. Traditional solar applications have been actively researched for over five decades, yet we have only been working on these highly transparent solar cells for about five years. Ultimately, this technology offers a promising route to inexpensive, widespread solar adoption on small and large surfaces that were previously inaccessible. The National Science Foundation and the U.S. Department of Education funded the work. 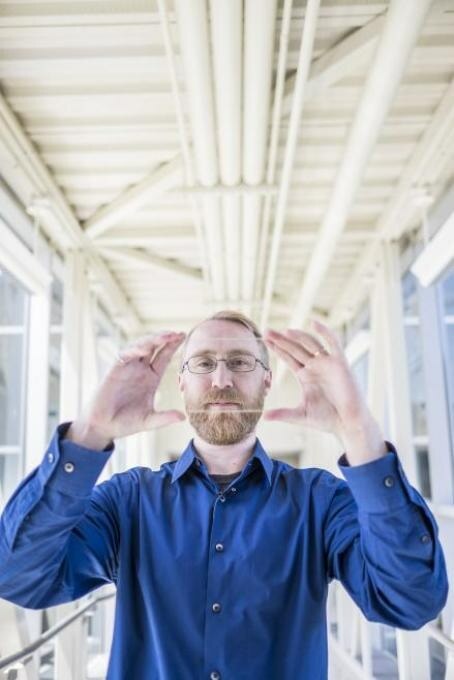 Lunt’s Co-authors include Christopher Traverse, a Doctoral Student in Engineering at MSU, and Richa Pandey and Miles Barr with Ubiquitous Energy Inc., a company cofounded by Lunt along with Barr in order to commercialize transparent solar technologies. 5% is quite bad. what is warranted regarding it?